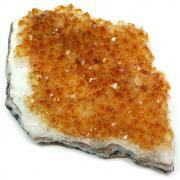 Small (3/4" - 1" & Thick) - 1pc. Medium (1" - 1-1/4" & Thick) - 1pc. 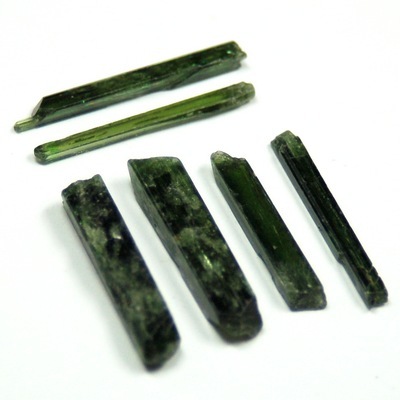 Chrome Diopside Rods "Extra" (Pakistan) - These are wonderful quality Chrome Diopside Rods from Pakistan. These crystals are translucent and have a really clean formation. Chrome Diopside is colored by the amount of chromium in them. Chrome Diopside is a primarily Heart Chakra crystal. As such, it can help people to open up to the idea of Universal Love, and integrate that into daily life. Like Star Diopside, it can clear away emotional blockages which in itself brings much progress. Beyond that, Chrome Diopside can also aid the growth of trust within an individual, in the self and others, and in the perfection of the Universe. Chrome Diopside can be quite helpful in the idealistic goal of living from the heart. 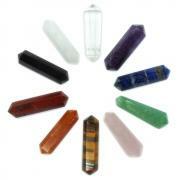 This crystal carries the green ray of healing, and can be used to facilitate great healing in many ways. It can work on areas of the lungs and heart, by clearing energetic blockages and allowing a flow of healing energy through these areas. On another level, it can help with emotional healing, by bringing an understanding of one's dual nature and how to integrate the two halves to form a complete whole. Chrome Diopside can also be a wonderful aid during a time of recuperation from any illness. Affirmation: I am emotionally and physically healed and whole. 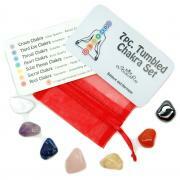 Question: Do you use runes, a pendulum, or other methods when you seek answers?